The 2016 Volvo XC90 sport utility vehicle is being acclaimed as the most luxurious Volvo ever offered. After spending time with it, we’re inclined to agree; the new XC90 is one exceptionally sweet automobile. So much so, we’re hoping many of its touches find their way into the company’s cars too. Volvo’s models have always been likable, and we readily acknowledge the company’s safety emphasis as a given. So much so, when you start examining the advanced safety features on the XC90, while they are remarkably innovative, they are also no less than what we’ve come to expect from the legendary Swedish automaker. In fact, they can be said to be quite Volvo-like. On the other hand, these ten non-Volvo-like features in the 2016 Volvo XC90 have us going wow. While it is inarguably the contemporary Volvo models are the most comely automobiles the manufacturer has ever fielded, the look of this new SUV is absolutely one of the 10 Non-Volvo-Like features in the 2016 Volvo XC90. This is the first model in the company’s current lineup to employ such a long space between the A-pillar and front wheel arch. This creates the impression of a considerably more luxurious vehicle, which in turn, gives the 2016 XC90 outstanding presence. Anyone who sees it knows immediately this is a luxurious automobile. While they might have to look closely to see it’s a Volvo, when they so, they are duly impressed. Another really cool aspect of the design is the fact each trim level presents an immediately recognizable, yet unique identity. Distinctive grille treatments, color-enhanced lower body moldings, a range of front spoiler cues, varying roof rail designs, and diverse lower rear skid plates contribute to each model’s individual character. When we think Volvo, we’ve been conditioned to envision practical. Because of this, while we thoroughly expect a Volvo to provide comfortable accommodations, and we’ve grown accustomed to the understated nature of Swedish luxury, this is something else altogether. 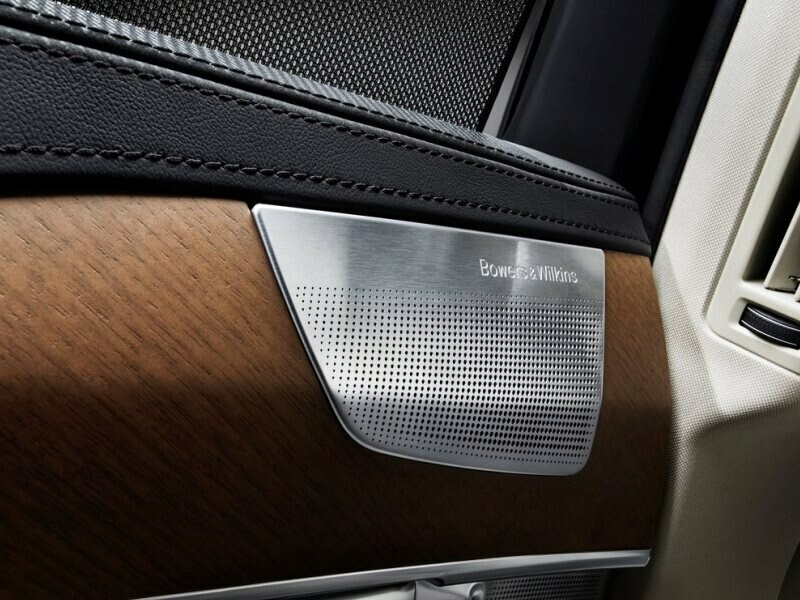 The 2016 Volvo XC90 Inscription is the beneficiary of the most luxurious interior treatment ever applied to a Volvo. The top of the line version is upholstered in beautiful Nappa leather, while the elegantly sculpted French-stitched full-leather upper dash and door panel are trimmed with textured Birchwood and smoke silver accents. Absolutely beautiful, it’s both sumptuous and highly inviting. The centerpiece of the dash is the nine-inch touchscreen, which, in actuality is more like a tablet computer dedicated to the functions of the XC90. 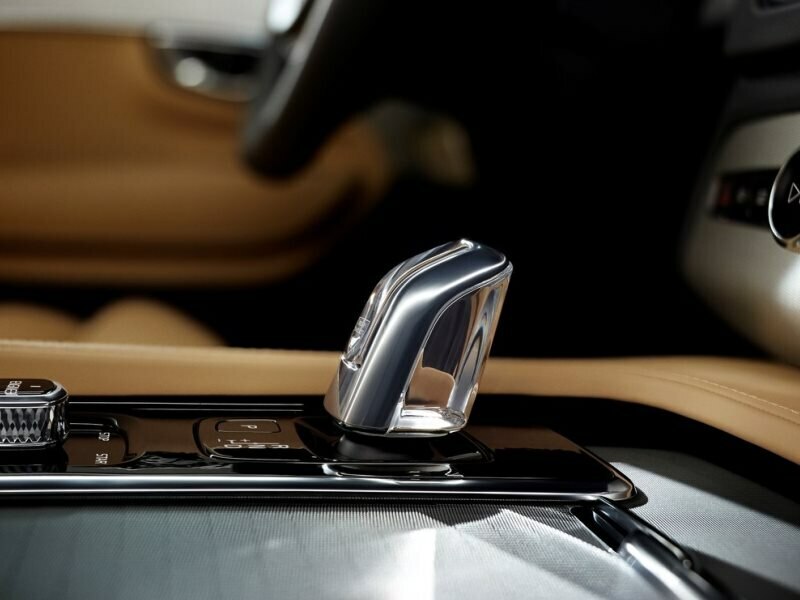 These elements lead us to consider the exceptionally luxurious interior treatment of the one of the ten non-Volvo-like features in the 2016 Volvo XC90. For the all-new XC90, a sleek and elegant nine-inch control panel has replaced most of the buttons controlling comfort and convenience functions. Yes, it looks like the XC90 has an iPad in the dash, and in a way—it does. This large touchscreen offers a vertical format for less scrolling, setting it apart from competitors with horizontal screen positions. Light Control Film anti-reflective coating offers deep contrast while keeping glare and reflections to a minimum. Liquid Crystal Display technology delivers a very dense pixel ratio making it one of the highest resolution screens in a vehicle, and one of the 10 Non-Volvo-Like Features in The 2016 Volvo XC90. An infrared field emanates from the perimeter of the screen, enabling the system to know where the user is touching when their finger breaks the plane. This negates the need to apply pressure to the surface, and you can operate the system while wearing gloves. Also among the ten non-Volvo-like features in the 2016 XC90 are Apple CarPlay and Android Auto. CarPlay brings many of the features of Apple’s iOS into the XC90. 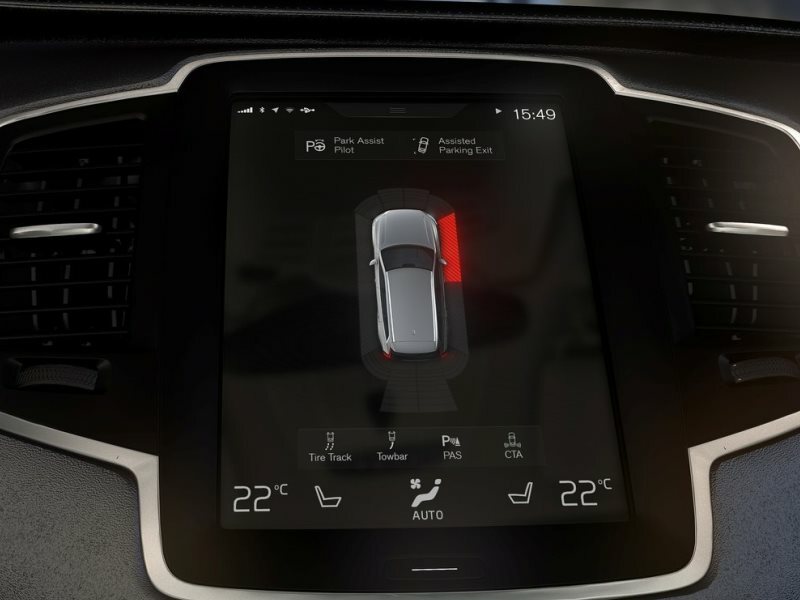 With it, one can seamlessly integrate the Apple iPhone (version 5 or later) and access certain of its functionalities and apps via the XC90’s center touchscreen. 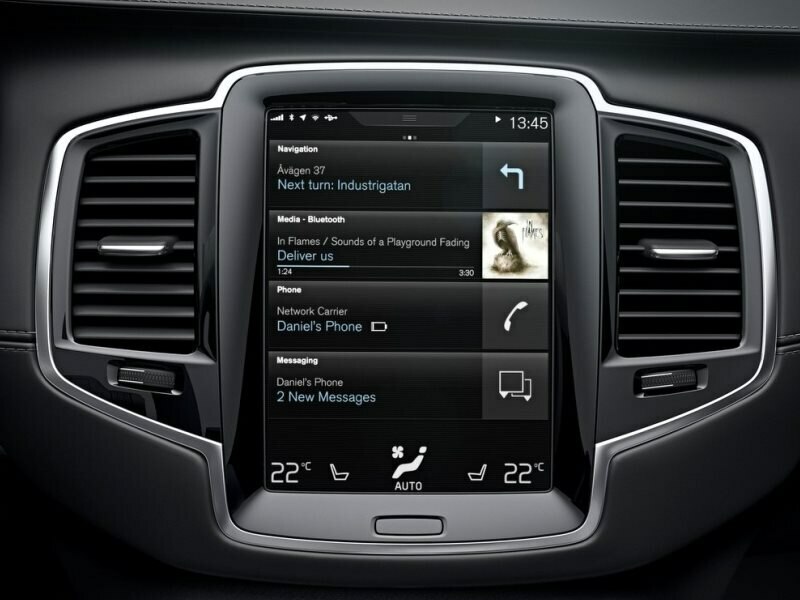 The iPhone can be directly controlled via the touchscreen, or by Siri voice commands through the XC90’s audio system. The all-new XC90 is the first Volvo to offer this functionality. A similar interface for Android phones is also offered. The integration of Android Auto provides access to Google Search, Google Maps, Google Play Music and a range of other specially adapted third-party applications such as Spotify. Just as with Apple CarPlay, all phone-based applications can be controlled via voice, steering wheel controls, or the 2016 XC90’s touchscreen. The most impressive audio system ever fitted to a Volvo, and it is also one of the best quality audio systems in the automotive market. Bowers & Wilkins is so respected in audio circles it’s the preferred audio brand for the famed Abbey Road Studios. In the 2016 Volvo XC90, this system delivers a window-rattling 1,400 watts to 19 speakers located strategically throughout the cabin. “Room Transformation” technology developed with the Swedish software specialist Dirac Research makes it possible to recreate the acoustics of a specific room inside the Volvo. You can select from among three different room modes: “Studio,” “Individual Stage” and “Gothenburg Concert Hall.” The system’s newly designed, extremely thin subwoofer is located by the rear wheel arch. An opening there lets it pulse more air, which enables extremely low bass tones—down to 20 Hz. This produces sound quality similar to a movie theater. In other words, it’s hella phat. Powering the 2016 Volvo XC90 is a 316-horsepower supercharged and turbocharged four-cylinder engine. The powerplant is also capable of generating 295 ft-lbs of torque. 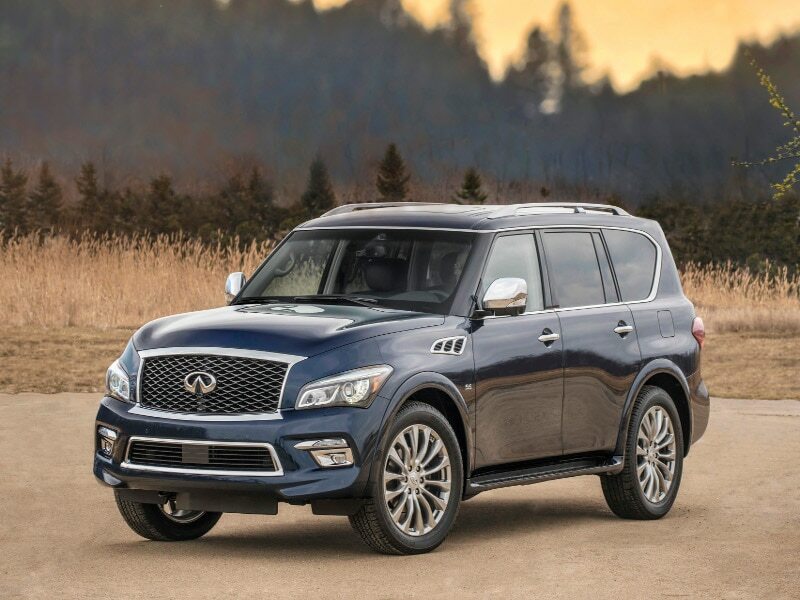 Teamed with an eight-speed automatic transmission, and all-wheel drive as standard equipment; in addition to this outsized power output potential, the 2.0-liter four delivers 20 miles per gallon in the city, 25 on the highway and 22 combined. Also offered is a plug-in hybrid version of the XC90’s powertrain—incorporating an 87-horsepower electric motor. This boosts total system output to some 394 horsepower, making the XC90 the first production Volvo to offer nearly 400 horsepower. In addition to this prodigious power output, the 2016 Volvo XC90 T8 Plug-in Hybrid can travel some 17 miles on electric power alone (when driven conservatively). Conversely, when driven for performance rather than economy, the Hybrid XC90 will hit 60 miles per hour from rest in less than six seconds. 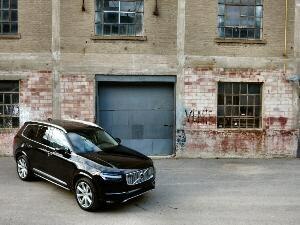 Traditionally, Volvo’s big SUV has always been outstanding in the safety aspect, but a bit less than engaging to drive. With this new one, the driving experience is nicely mirrored by the external appearance of the all-new 2016 Volvo XC90. Four pre-selected drive modes are offered (Eco, Comfort, Off-Road & Dynamic), along with the capability of custom tailoring a fifth to the driver’s preference. While the pressurized four-cylinder engine can sometimes be a bit coarse for a vehicle outfitted as sumptuously as the XC90, it pulls very strongly, and it delivers great fuel economy. We’re used to seeing adjustable drive mode settings in overtly performance oriented models; now we’re going to have start getting used to thinking of Volvo the same way. 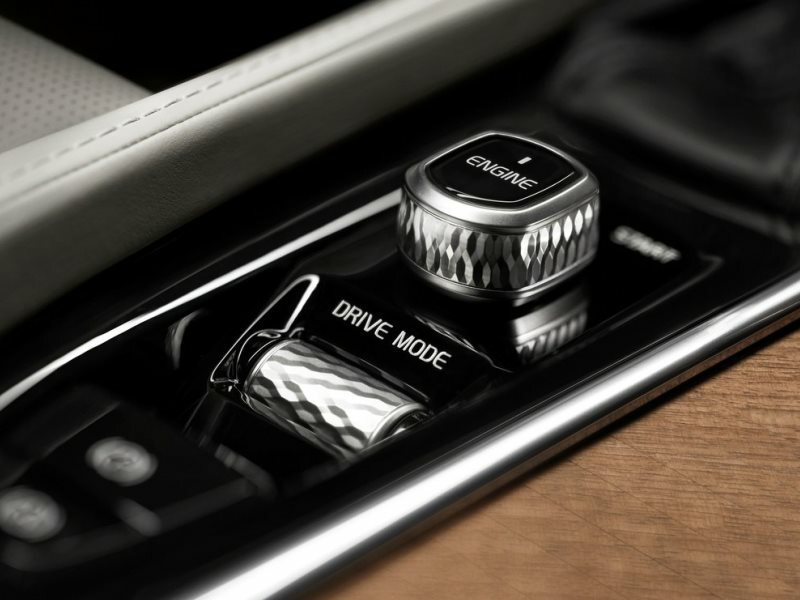 The 2016 Volvo XC90’s adjustable drive mode settings allow the driver to select different performance characteristics using a rotary knob conveniently mounted on the center console. “Comfort” raises the ride height to increase suspension travel. 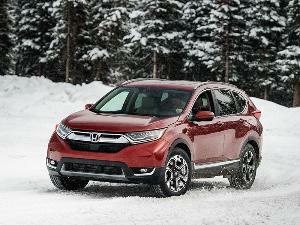 “Eco” calibrates engine, transmission, and climate control response to deliver optimal fuel efficiency. “Dynamic” advances throttle, transmission, and suspension response to optimize outright performance. “Offroad” sets the XC90 up to excel on the trail, as well as activating the Volvo’s Hill Descent Control system to manage downhill speeds on steep terrain. “Individual” allows you to custom configure elements from each of the other modes to set the XC90 up to your personal preference. The XC90’s standard eight-speed “Geartronic” automatic transmission is another of the ten non-Volvo-like features in the 2016 Volvo XC90. 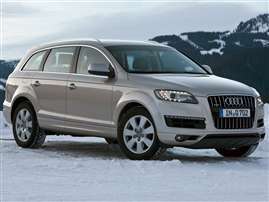 The transmission is fitted with two overdrive speeds to help the XC90 save fuel. 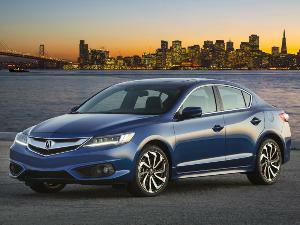 There’s also a lock-up function, which bypasses the torque converter to reduce energy consumption. 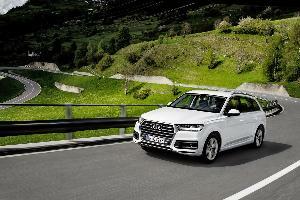 The driver can select fully automatic operation, or shift manually using either the console-mounted shift lever, or the R-Design model’s steering wheel paddles (when so equipped). The 2016 Volvo XC90’s Four-corner Air Suspension system offers outstanding ride comfort, as well as competent handling and road holding. The remarkably innovative electronically controlled damping system replaces traditional shock absorbers with a set of a computer-controlled air chambers positioned at each wheel, which are capable of constantly adapting to changing road conditions. This also provides the 2016 XC90 with automatic leveling, which keeps the Volvo perfectly flat whether the XC90 is transporting just the driver, a full load of passengers, or cargo. Ride height is automatically lowered at higher speeds for improved aerodynamics, while an easy ingress/egress mode allows the vehicle to be lowered for greater convenience. The driver can push a button in the cargo compartment to lower the ride height by two inches when parked for easy loading, or to hitch a trailer.